A study on the link between the birth control pill and Crohn’s disease has led a team of doctors to suggest that women with an already genetic predisposition to the chronic gastrointestinal disease may be three times more likely to develop the condition if they have used "the pill" for at least five years. The study, led by Harvard University gastroenterologist Dr. Hamed Khalili, followed 230,000 American women who were enrolled in the large U.S. Nurses Health Studies I and II from 1976 to 2008, Health News reported. Khalili and his team then compared the gastrointestinal health of women who have used the pill for long periods of time with women who never used birth control pills. As it turned out, of the original 230,000, there were 309 cases of Crohn’s disease and 362 cases of ulcerative colitis. Results showed that there was no link between oral birth control and increased risk for developing ulcerative colitis. Unfortunately, the same could not be said for Crohn’s disease. “If you took oral contraceptives for more than five years, you have a three-fold increased risk of Crohn’s disease,” Khalili explained, as reported by Health News. Although not confirmed, Khalili believed that it was the hormones inside birth control pills that explained the increased risk for Crohn’s disease. Previous animal studies have shown estrogen’s effects on the colon. As reported by MedpageToday, estrogen is thought to both affect the colon’s permeability and may affect gut immunity. Khalili also believes that excess amounts of the hormone can affect the “healthy” bacteria residing in our gut. Although the “morning-after pill” emergency contraceptive was not included in the study, due to the similar composition, Khalili suggested that women who use this drug may be at a similar risk, since it has even stronger doses of hormones than those found in the pill. Although there seems to be a link between the birth control pill and gastrointestinal problems, Khalili was adamant that one did not definitely cause the other. Crohn’s disease is a serious, incurable, and largely debilitating condition. Once more, the number of women experiencing this condition has inexplicably risen two- or three-fold in the past 50 years, The Mail reported. Khalili’s study cannot explain the overall rise in the number of Crohn’s patients, but his findings will hopefully be of use to women who have a genetic predisposition to gastrointestinal conditions. 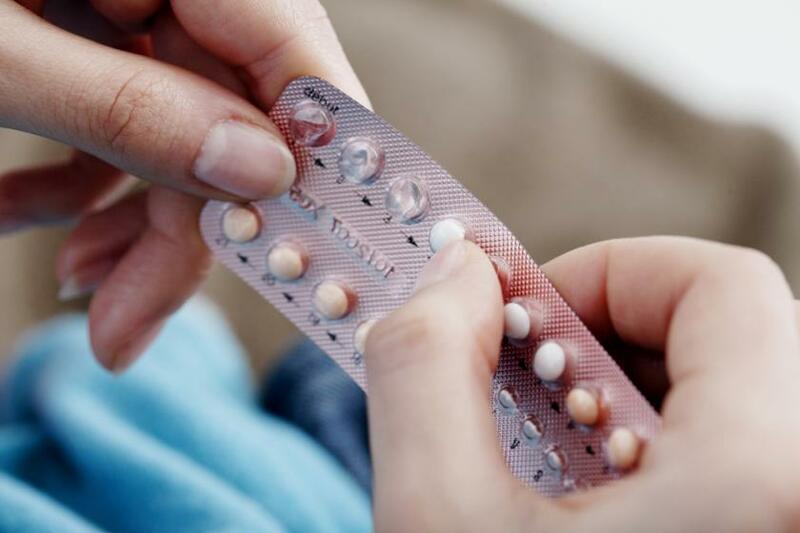 The birth control pill is the most widely used form of contraceptive in the United States, but there are many more forms of birth control available and women should be well informed of the risks associated with each before deciding which is best for them. Source: Khalili H, Higuchi LM, Ananthakrishnan AN, et al. Oral contraceptives, reproductive factors and risk of inflammatory bowel disease. Gut. 2012. Correction: An original version of this story wrote that the "morning after pill" has stronger doses of estrogen than the "the pill." Emergency contraception in the U.S. does not contain estrogen but rather the hormone progestin or ulipristal acetate, a selective progesterone receptor modulator.